How to set the "Enable Client Integration" setting for a Web Application in SharePoint Server 2010. 1. Navigate to Central Administration, Application Management, Web Applications, Manage Web Applications. 2. Click to highlight the Web application for which you would like to disable client integration. 4. Click on the Zone name. 5. 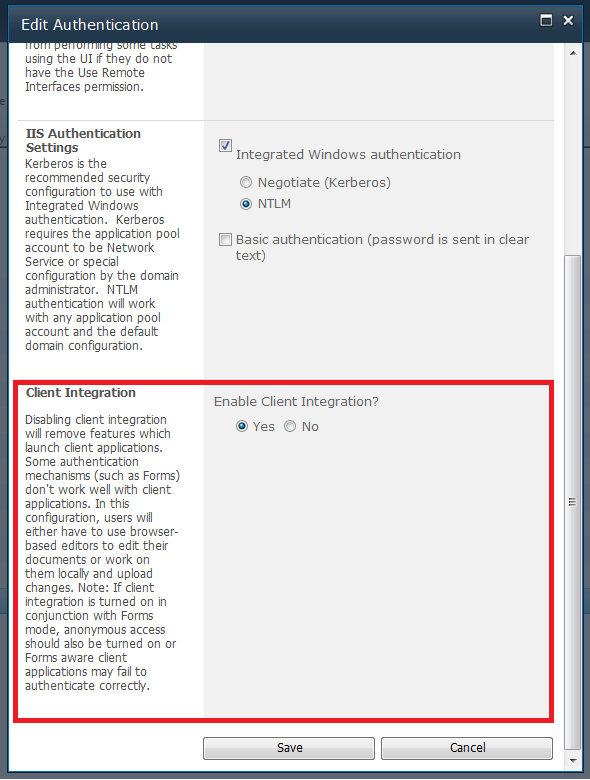 In the "Edit Authentication" dialog, "Client Integration" section, configure the "Enable Client Integration?" setting. Click Save.